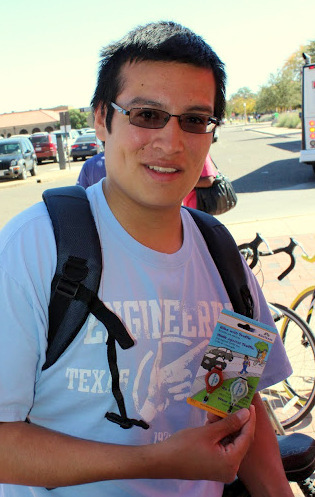 BikeTexas’ new College Active Transportation Safety, CATS program ended its pilot year on a high note with the distribution of 7,200 pairs of bike lights to seven college campuses around the state. The overall goal for the first year of the CATS program was to reduce traffic injuries and fatalities by promoting bicycle and pedestrian safety and motorist awareness among incoming students at seven Texas colleges and universities. We hit the mark! …BikeTexas CATS also produced a three-minute, music video, Safety Bling! Safety Bling! 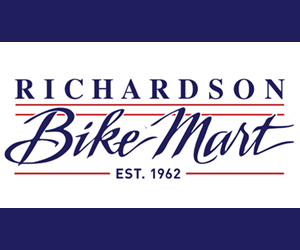 highlights the importance of wearing a bike helmet and using lights — a white light on the front, and a red light or reflector on the back, and wearing high visibility clothing when you ride at night or in lowered visibility conditions. 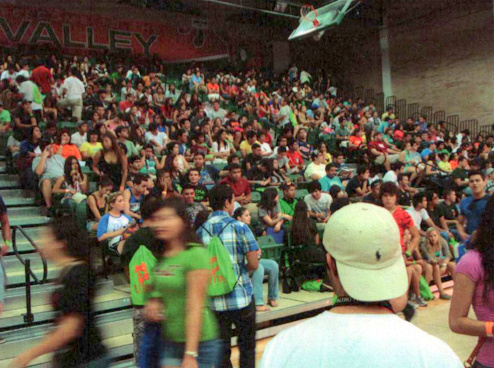 We distributed a DVD copy of the video to 52 contacts at 29 Texas colleges and universities and the video received over 3,200 hits on Youtube. So that’s a good amount of people getting the message reinforced to protect their brains with a bike helmet and make themselves visible when they ride their bikes at night! 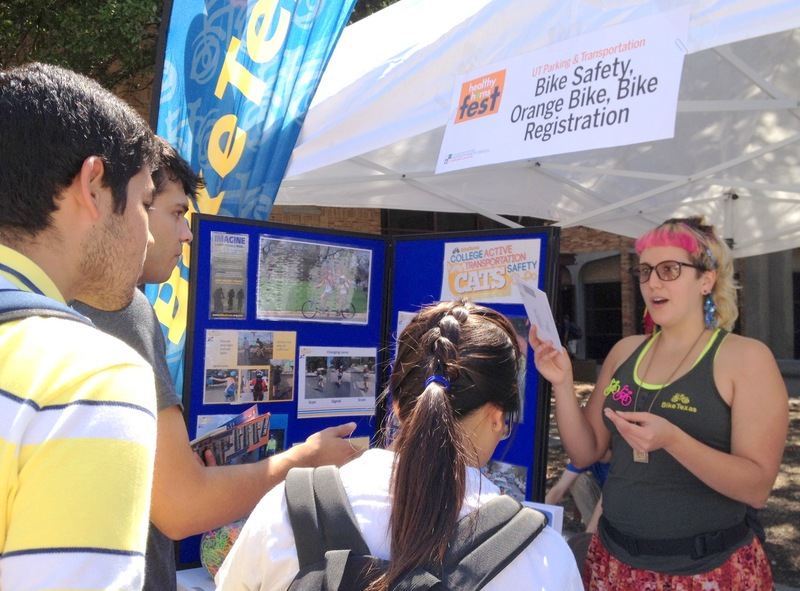 Most importantly, the BikeTexas CATS program reached out to students, faculty, and staff to develop expertise and cultivate enthusiasm in the campus leaders who rose to the challenge with already full schedules. 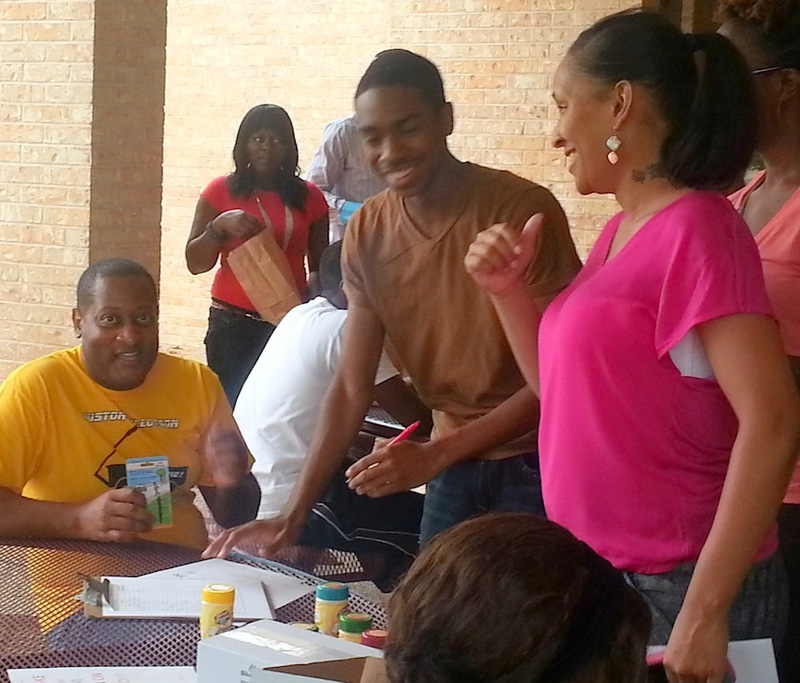 Thank you for delivering the training to new college students! We feel like the first time presenters — juniors and seniors with cycling experience, are taking away a sense of the importance of teaching bike safety and, from the experience, the capacity to teach. The veterans — BikeTexas SafeCyclist kinesiology professors, and the bicycle and alternative transportation, recreational sports, sustainability, and student affairs staff members are taking away enthusiasm for their ongoing efforts. 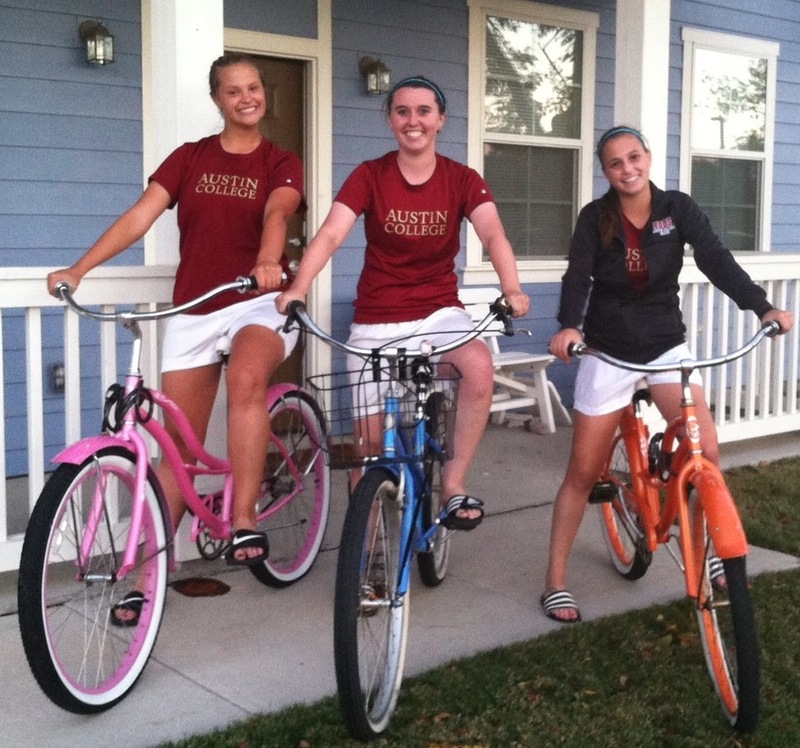 Is there an increased sense of awareness between schools of the cycling movement on Texas college campuses? There’s a great question for a graduate thesis. Thank you to our campus hosts, and presenters at the seven pilot schools! Chauncey Deller, Bob Hepler, Howard Patterson, at the University of Texas, Tyler and the late Butch Willingham for introductions. Thanks, Erin Hodgess at University of Houston Downtown for training and being prepared for next year. 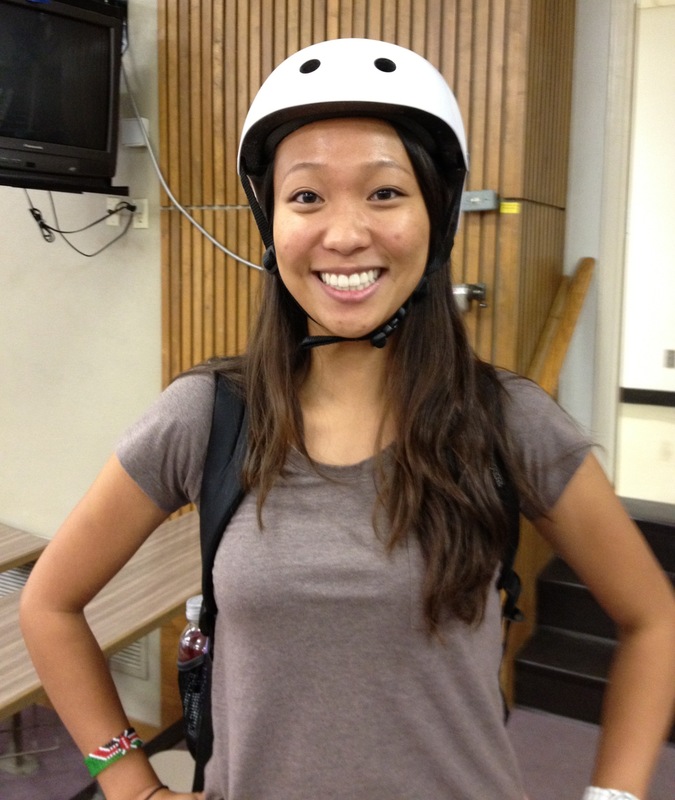 And finally, thanks to LaGina Harris at Huston-Tillotson University, Austin and Jacek Jonca-Jasinski at Texas Tech University, Lubbock for coordinating bike light giveaways on your campuses along with the pilot schools. 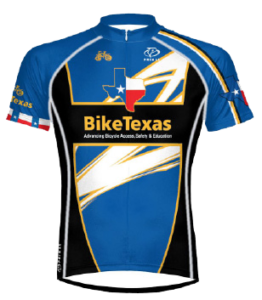 Stay in contact with BikeTexas CATS and download updated materials on November 1!